I think this is my fourth foundation review… for some reason, I quite like doing them! Not sure if you guys like reading them though, what with the vile before pictures :) haha. If you all don’t mind, I think I’m going to do one on ELF Studio tinted moisturiser next. But let’s do this one first! I was actually colour matched for this one at the Destination S event back at the beginning of April. You may remember reading some other bloggers’ posts about the event – there were 30 models there, each one representative of Sleek’s whopping 30 shades of foundation. It was a really interesting idea, to pick out your shade by comparing your the skin of other real people instead of just taking a guess! The poor models must have got bored sitting there all day though. 30 shades is the most selection by miles of any drugstore foundation in the UK – in fact it’s more than a lot of high end brands too! Having said that, Sleek are definitely known for their adeptness at catering for all skintones. Let’s get the before and after bit over and done with, yeah? 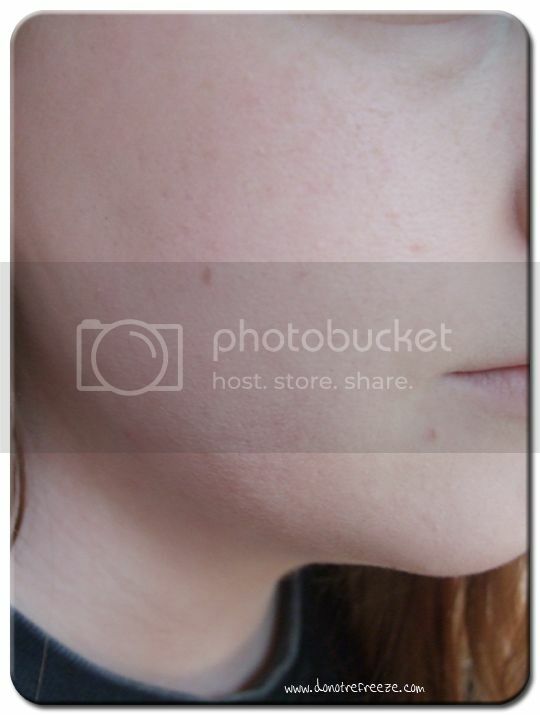 As you can see, the coverage is quite full but the foundation still feels light on the skin. I usually buff it in with an ELF Studio powder brush but if I fancy a slightly lighter coverage then pressing it on with a damp sponge works equally well. It’s a medium sort of consistency when you squeeze out of the bottle – yes, it’s a pump – it’s neither particularly thick or fluid. This shade (Oyster) matches me SO well, it’s really difficult for me to find foundations with pink tones in them, especially cheap ones! I can tell it’s going to last a long while as well, one pump is plenty to do the whole face and down onto the neck. I quite like the finish, too – despite having quite oily skin, I very rarely powder because I’m lazy. Luckily I don’t have a problem with foundations fading or sliding, but sometimes I do get a little shiny. The finish of this is sort of semi-matte, though, so I can be lazy and skip powder but still not end up too shiny at the end of the day. Overall I’m really enjoying using this at the moment – there’s nothing I don’t like about it! This along with Sleek’s new Luminaire concealer (review coming soon) have both become regular products in my every day routine – I tend to flit between foundations on a daily basis depending on how I feel but I’m using this one at least a couple of times a week. My only concern with this is availability of the full shade range. There are only 16 avaiable online and I can’t imagine there being enough space in Superdrug to display all 30 in stores… If anyone knows anything about this please let me know! 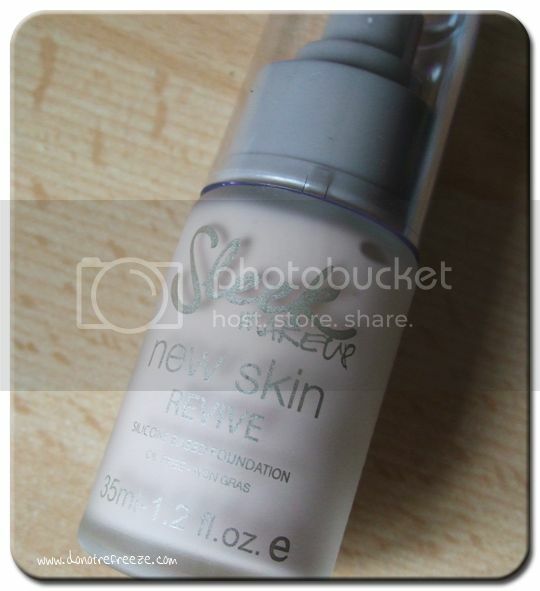 Sleek MakeUP New Skin Revive foundation (35ml) is available online and in Superdrug stores nationwide, for £7.30. wow! mmm maybe I’ll buy it on my next order! aww I’d like if they were sold in stores here in Italy! Had no idea that they went this light! I think it looks really good on you. I have an unopened bottle of Henna, this has intrigued me enough to open it. That packaging is really pretty. I know what you mean about the ‘before’ photos. 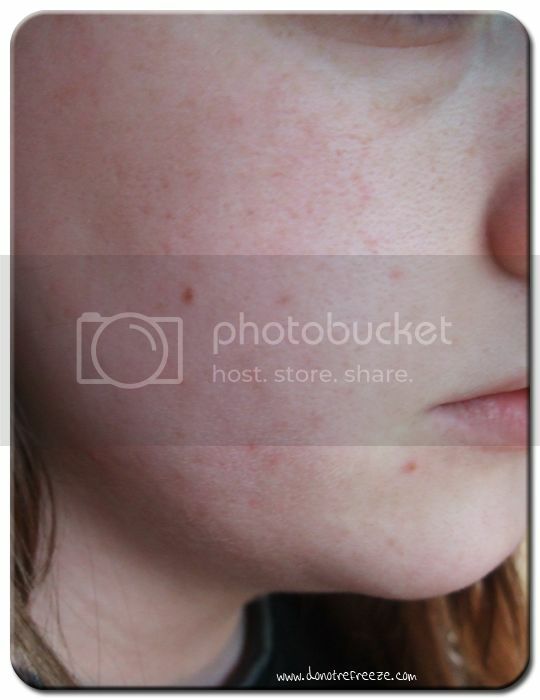 I did one and I had no idea how bad my skin was!!! I had the Light tester kit too, and although I’m usually Light to Medium in most ranges, I’d say that from the Sleek shades I’ve tried I’m somewhere around Calico give or take a shade or so. oh wow pretty impressive coverage and soooooooooooooooooo natural as well.